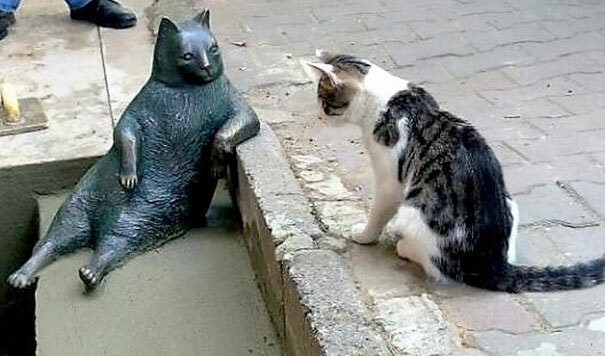 You may have seen this photo by itself or turned into a meme as you meander around the internet. 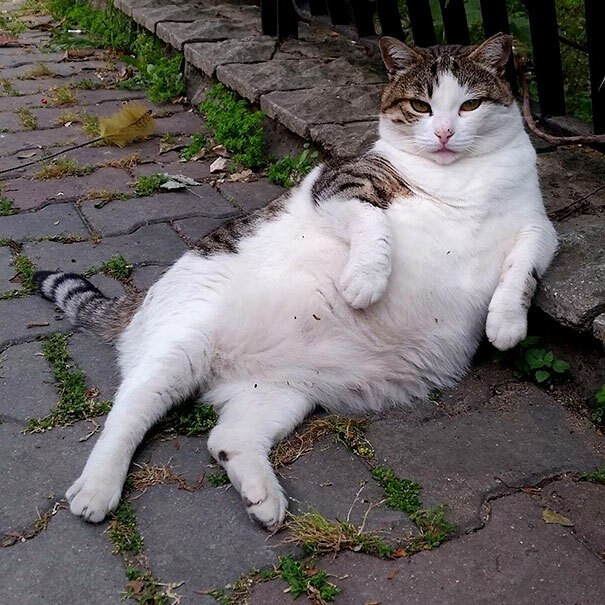 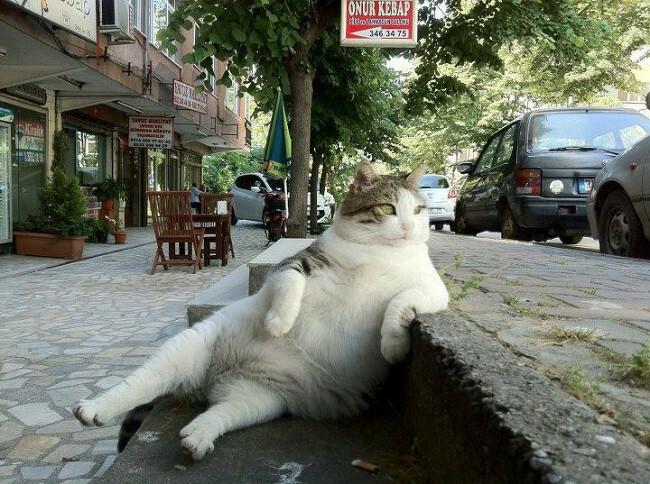 This was Tombili, the relaxed cat from Istanbul. 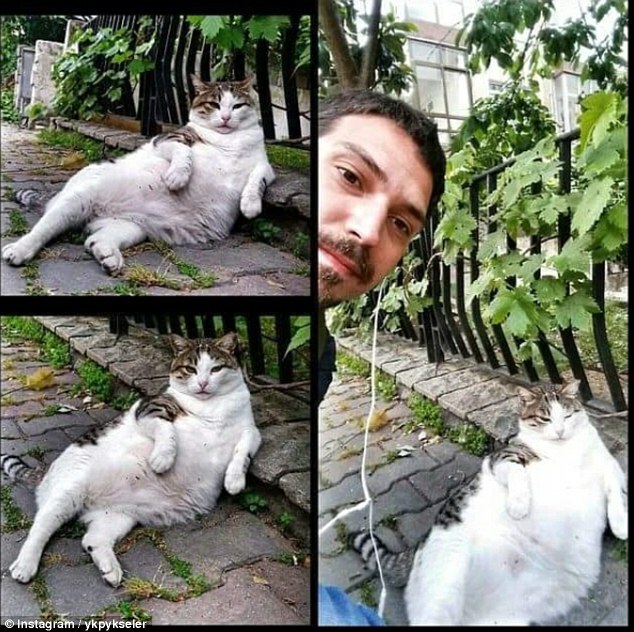 He became so famous that people used to come from far and wide to take photos with him. 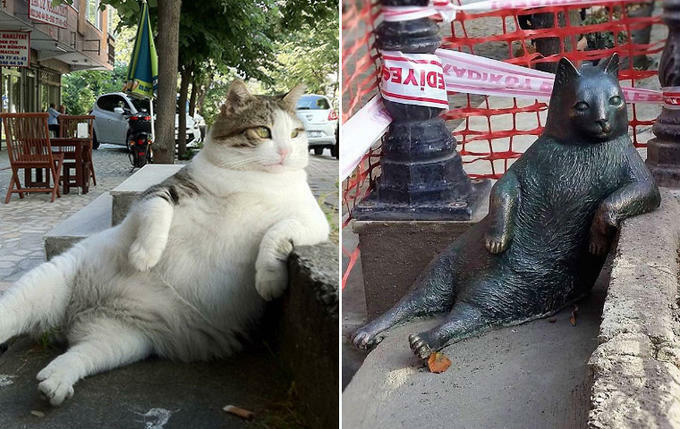 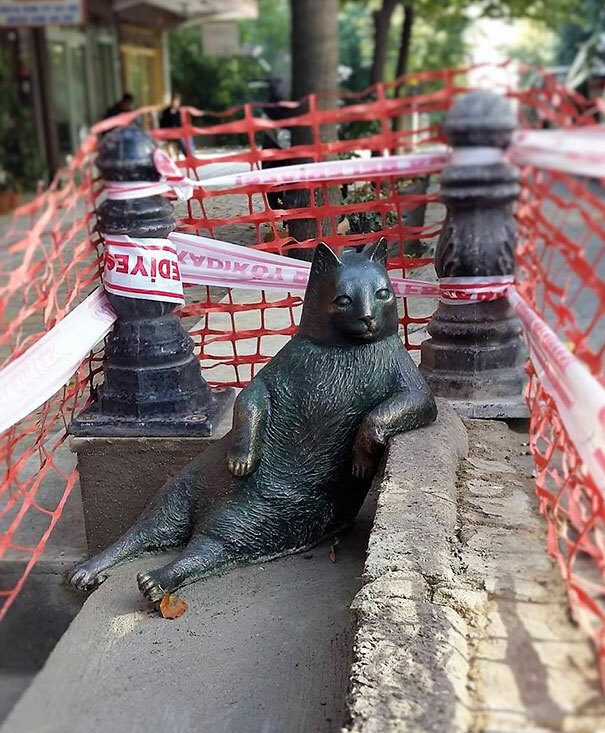 Sadly, Tombili passed away a couple of years ago, but is immortalised in statue form, on the very step upon which he used to lounge.